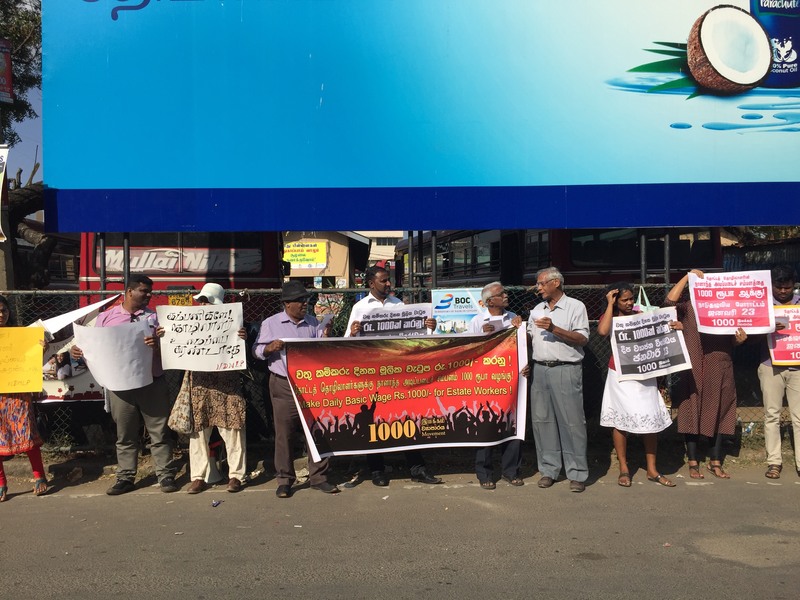 Tamils in the North protested in solidarity with tea estate workers campaign for a raise in their minimum wage. Up-country Tamils have been protesting and campaigning for several months for the daily minimum wage for tea estate labour to be raised to 1000 rupees. While protests have been ongoing in Colombo, Tamils in Vavuniya and Jaffna towns protested in solidarity on Wednesday.